Power prices only seem to go one way, so whatever you can do to keep costs under control is surely worth considering. Most Australian energy providers offer headline-grabbing discounts, but discounts are only helpful in bringing costs down if you’re getting money off a competitive price in the first place. You’ll naturally be attracted to a deal promising 30% or more off your bills, but if you’re paying a higher base rate, will you really be any better off? It’s no wonder consumers often find energy plans overly-complicated and confusing. However, out of the haze in recent years has emerged a different type of energy plan, allowing customers to easily compare offers from different providers, while also giving them a bit more certainty over costs. We’re talking about fixed rate (or fixed price) energy plans. What are fixed rate energy plans? Fixed rate energy plans are contracts that lock-in a set price to be paid for electricity or gas usage and supply for the duration of the term, usually two years. The energy companies tend to review their prices every 12 months (i.e. increase them) and fixed rate plans allow customers to effectively ‘beat’ the price hikes by locking in the rate they are charged. This means that the cents per kilowatt-hour rate you pay for electricity or gas will remain unchanged for the two years. In most cases your daily supply charges (what you pay just to be connected to the energy network) will also be locked in. Are fixed rate plans different to fixed cost plans? Yes, very much so. While fixed rate energy plans give customers certainty over the price they will be charged for power, they do not provide certainty over actual costs. No household uses the exact same amount of electricity or gas every month, so the amount you need to pay will continue to vary from one billing period to the next. Fixed cost energy plans, on the other hand, provide households with a set price to be paid every billing period, regardless of how much electricity or gas they actually use. So you can either lock-in a price, or a cost. A handful of energy providers offer fixed rate plans, including AGL, Origin and EnergyAustralia, but just two currently offer fixed cost plans – Origin and Sumo Power, a small retailer based in Victoria. They are called the Predictable Plan and the All You Can Eat Plan respectively. While they differ slightly, both involve a set amount being paid for 12 months of energy use. What are the pros and cons of fixed rate energy plans? Every energy plan comes with advantages and disadvantages. Ultimately, you still need to pay for the electricity and gas you use – there’s no getting away from that. So what are the pros and cons of fixed rate energy plans? While most energy plans come with variable rates (which can change at the retailer’s discretion), fixed rate plans mean you lock-in charges for a set period, avoiding any price increases. Fixed rate plans are simple and easy to understand – you are given set charges for energy usage and supply, nothing more and nothing less. This makes them easy to compare because you simply need to assess the published rates of each provider in your area. 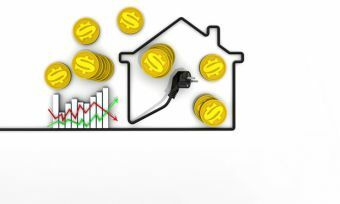 Much like fixing a home loan for a number of years, locking in energy charges could mean you pay a higher rate for power than you would on a variable rate plan. While you may receive a sign-up credit on your first bill, fixed rate plans do not offer any additional discounts. As two-year contracts, some fixed rate energy plans come with exit fees, meaning that leaving for a better offer will cost you. With the introduction of fixed cost energy plans, it will be interesting to see whether fixed rate plans become more or less popular. If you’re trying to find the best deal on electricity or gas, the best thing you can do is compare both types of offers and see which works out cheaper.